This photo was taken October 11, 2008. The grass was planted three weeks earlier. 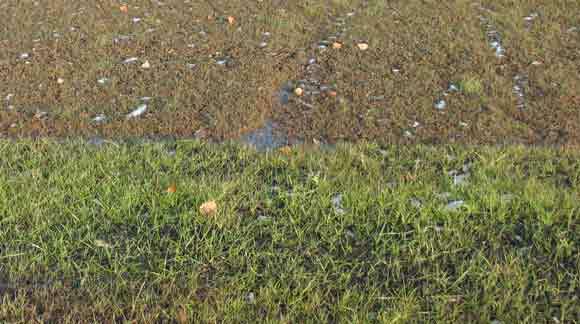 Humified compost can make the difference between success and failure, when establishing a lawn or hay field, especilly in late fall. As is obvious, the bottom part of the plot had compost, the top part had none. No fertilizer was applied to either portion.